The Van Buren West Loop apartments are now leasing studio, convertible, 1 bedroom, and 2 bedroom apartments, with move-ins available now. The interiors at The Van Buren include convenient features, like Nest thermostats and keyless fob entry, in-unit laundry, hardwood floors, as well as state-of-the-art appliances and finishes. 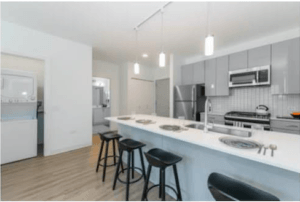 Kitchens feature soft-close cabinets, tiled backsplashes, GE stainless steel appliances, 9-foot ceilings, quartz countertops, and lots of natural light. 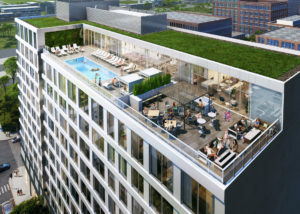 Amenities include a rooftop lounge with a pool and grill stations, a modern fitness center with a private instructor space, a 4,000 square foot patio terrace, and plentiful co-working space. Convenience-based resident services include a day and night concierge service, package receiving, on-site automated dry-cleaning, and an indoor dog run, among other pet amenities. For more information about move-in specials available at The Van Buren contact us here. 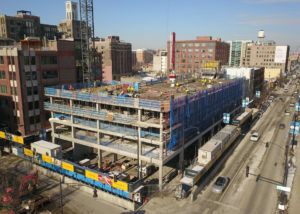 Rising 12-stories in the West Loop neighborhood is 808 West Van Buren, simply known as “The Van Buren”. 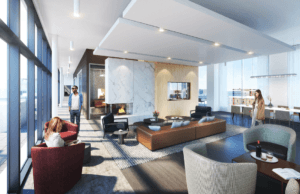 Brought to us by Loukas Development and designed by Chicago’s bKL Architecture team, the metal and glass tower is sure to catch your attention. The glassy exterior is sleek, modern, and will be a stunning addition to the up and coming neighborhood. 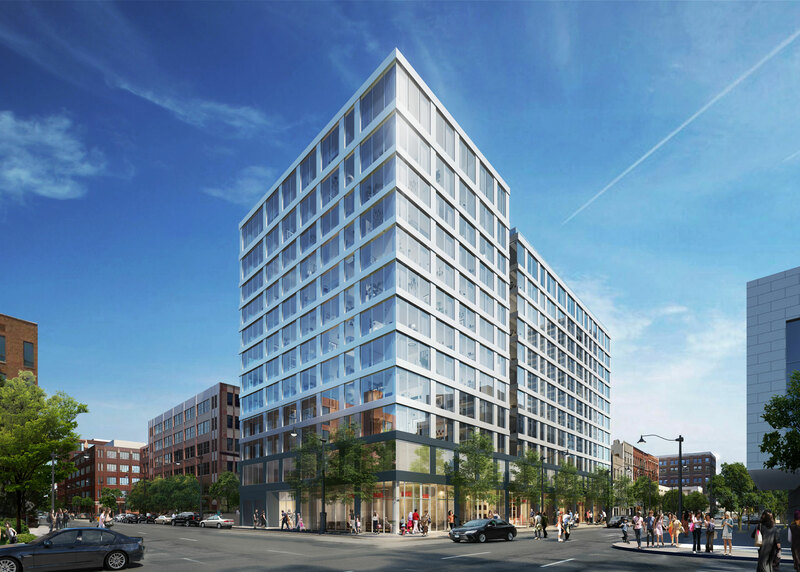 The Van Buren will house 148 residential units and feature ground space retail off of Halsted. An indoor parking garage equipped with 65 parking spots will be available to residents as well. The West Loop development broke ground in 2016. 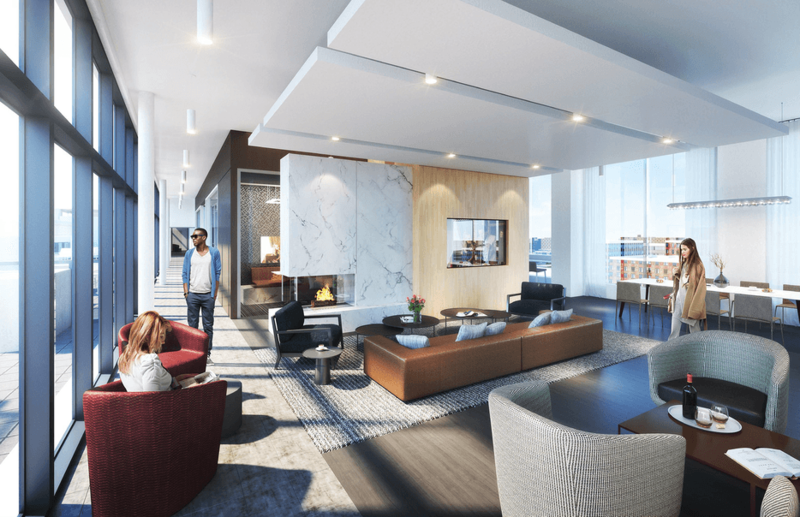 Residents can expect stunning floor-to-ceiling windows stretching throughout their unit, filling it with natural light and breathtaking views of the city skyline. 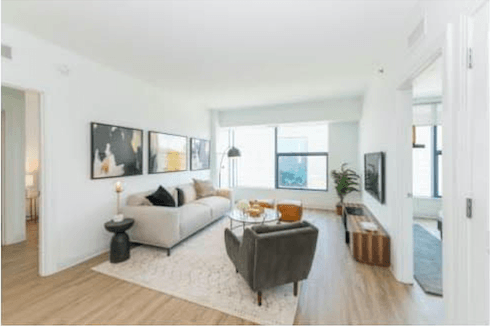 Sleek interiors are being designed to give residents their perfect homes! 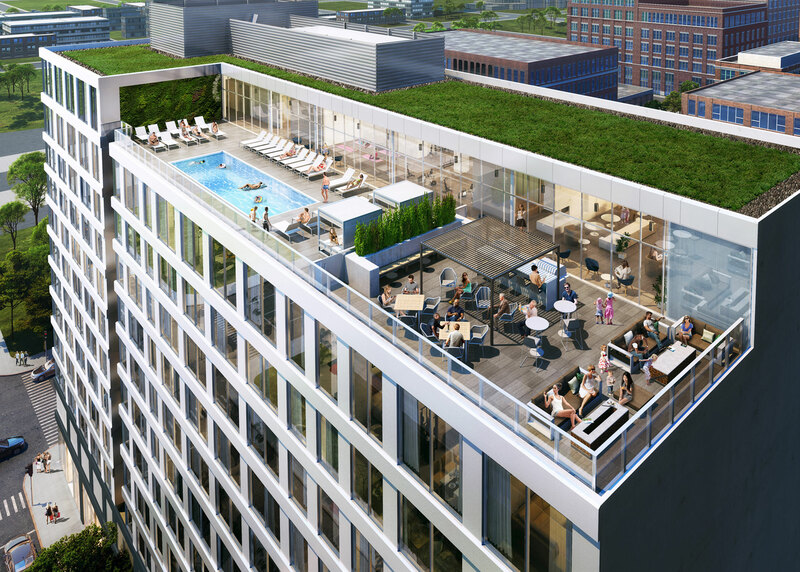 One of The Van Buren’s most prominent features is the building’s rooftop area, which offers both green space and a pool deck. 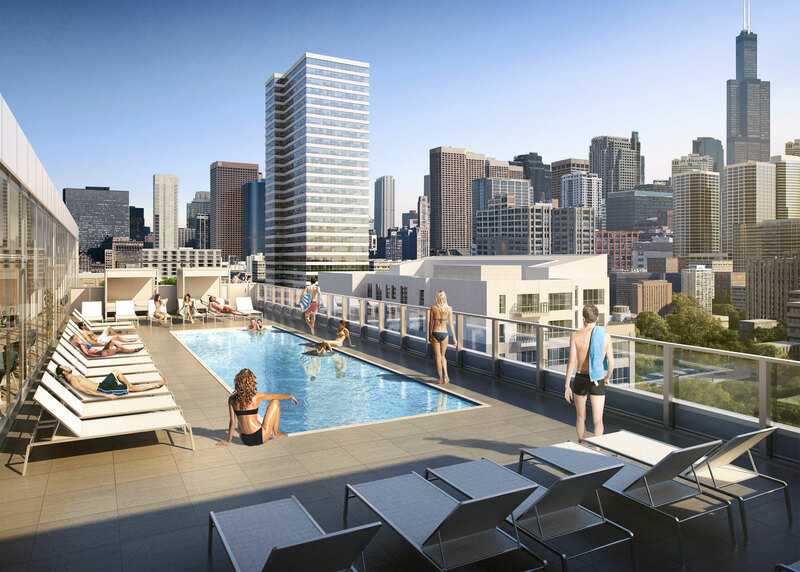 The east-facing outdoor pool offers clear, sprawling views of the beautiful downtown skyline. 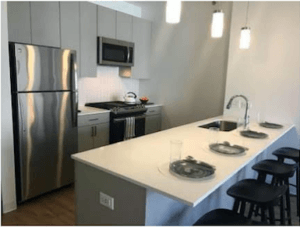 Just a few blocks south of Greektown, The Van Buren is located in the heart of the West Loop in one of the most up and coming neighborhoods in Chicago. Residents should be sure to check out the renowned “Restaurant Row” on Randolph Street and Fulton Market! With great nightlife and day activities, the West Loop is the perfect place to call home!